Missouri police have issued a warrant for a couple after their young daughter tested positive for drugs for the second time. Neither of the girl's parents, Scottie Briner and Jean Mangus, both 29, were in custody as of Monday night. The two have been charged with child abuse and neglect. 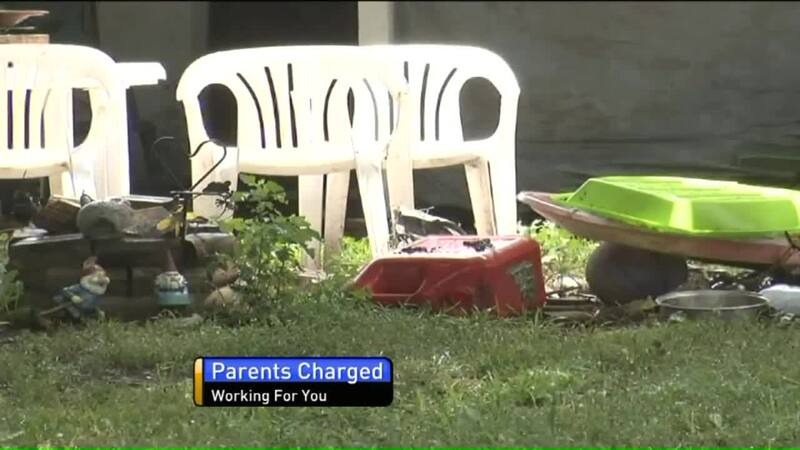 Briner and Mangus called an ambulance after they believed their daughter was acting "funny." After being airlifted to a hospital, the 3-year-old tested positive for oxycodone and methamphetamine. Missouri police has issued a warrant for a couple after their young daughter tested positive for drugs for the second time. That, along with the filthy conditions of the home such as bug infestation, has led children's services to take the girl away from her parents. Court documents said the house was "unfit for anyone to live." Both the girl's condition, along with the filthy condition of the bug-infested home, has led children's services to take the girl away from her parents. Court documents said the house was "unfit for anyone to live."